New Build House Wirral progress | bromilow architects ltd. 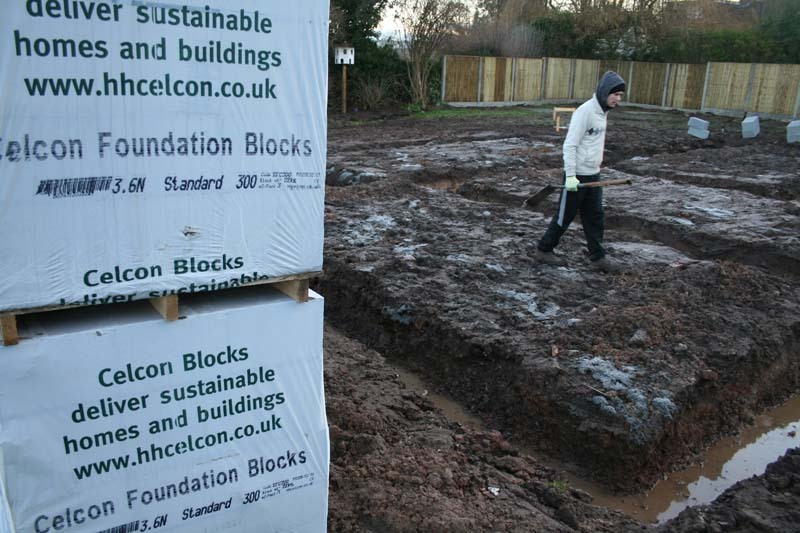 Following the pouring of the concrete foundations for this new build house at the end of November. 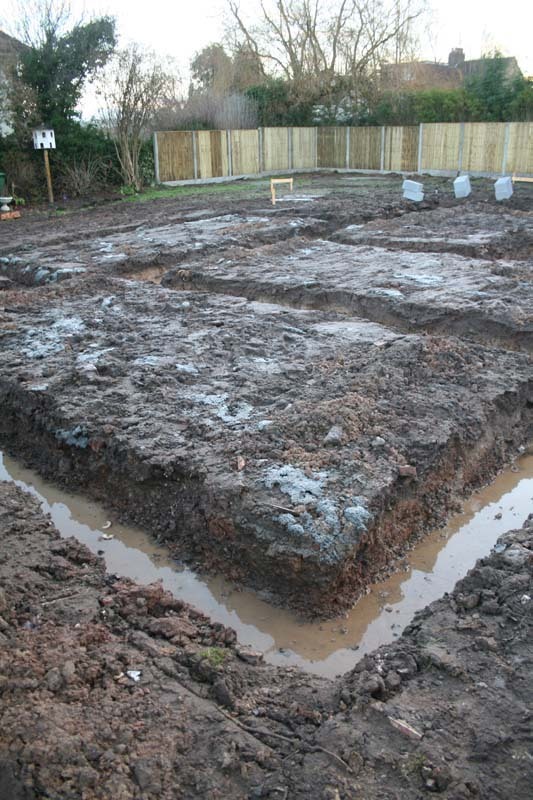 The contractor only managed two days of block laying up until Christmas due to the cold weather we have been having. 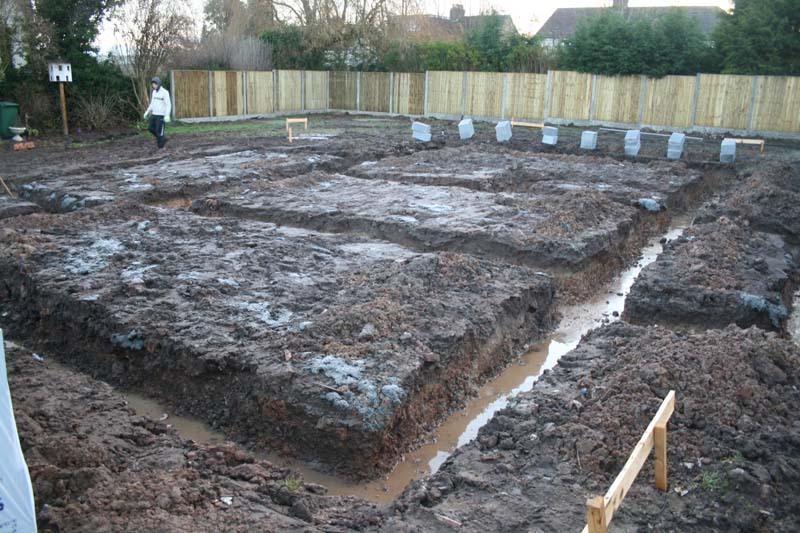 The sides of the trenches had collapsed due to the frost and had to be cleaned out before any work commenced. 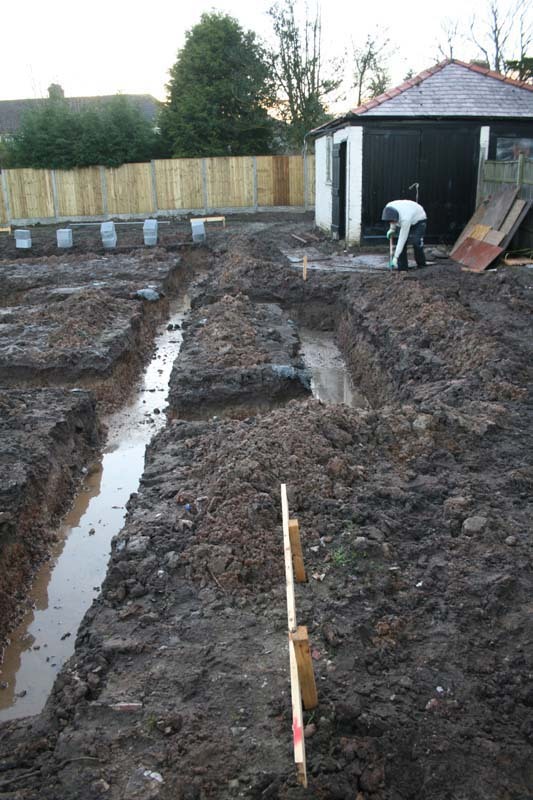 Water was also pumped out of the trenches to provide a sound base for laying the foundation blocks. Contractors usually take the time off between Christmas and New Year but with the Tradesman having had a quiet December due to the weather, they are keen to get back to site to continue the trench block work between the holidays, weather permitting. Hopefully the Weather in January is kinder and work can progress quickly.